Ermenegildo Zegna SS14 Leather accessories – elegant of course. Ermenegildo Zegna released its new collection of leather accessories for the new 2014 Spring-Summer season. They propose a precise and essential choice of accessories for the active gentleman. Season by season, Ermenegildo Zegna is the reference for masculine elegance. We spoke about Zegna a while ago for the opening of the Geneva store. The italian fashion house plays all the codes of masculinity by offering an essential collection to men. Everything you need to be as fashionable as classy. Accessories for men are the key for masculine elegance. It is all about the details that changes everything. Men can be pretty much traditional and conservative about their suits. What might highlight their look will always be their shoes and their bags and belts. So in this field Ermenegildo Zegna rocks. A myriad of refined loafers, with or without tassels, takes center stage at Ermenegildo Zegna. These versatile styles of the day-into-night variety are made from soft kangaroo leather, suede or braided calfskin in midnight blue, cocoa and mud brown. The suede moccasin is a must have accessory to complete any urban leisurewear look while remaining elegant and comfortable at the same time. At Luxury Activist we have our editor’s choice for the season, it is the Blue suede moccasin, definitely a must have. This elegant and original moccasin will have an important place in our wardrobe this incoming season. This rich blue, almost turning into violet will sign your look this summer. The subtle yet present beige band underline your feet for a classy effect. In the city center, on board of your convertible or simply in your yacht by french riviera, this mocassin will be your perfect companion. Ermenegildo Zegna Couture line – Timeless gentleman. Highlights of the Ermenegildo Zegna Couture line include the double-strap monk shoes with wing tip in a lush cocoa brown French calfskin crafted with the trademarked Goodyear Flex Construction. This labor- intensive technique for which a hand-applied cork insole adapts to the foot, grants unmatched comfort, freedom, breathability, lightness and thermal insulation. The double-strap monk shoe is definitely one of the new items that you need for any dressed occasion. Z-Zegna – Contemporary twist into your daily Business life. An interesting geometrical work around the idea of Pentagon. A five sided shape, as the perfect match to men’s elegance. The geometric work black on black gives a contemporary feeling to a timeless elegance. Men eager to inject a contemporary twist into their business attire can indulge with the ZZegna line-up, characterized by a pentagon-shaped motif. In the case of the loafer, the geometric shape is injected into the leather sole while on the tote and tablet case, it is embossed on the supple lambskin. The Zegna Sport assortment winks at the biker world. To that end, the luxurious nappa sneakers feature padded details on the sides and are available in black or white, the latter cemented on a transparent rubber sole. Another interesting highlight is the Carbonium zip pullers that give a high-tech feeling to this bag. No excuses to dress like a true gentleman this Spring. Info sourced at the Brand official communication release. All content is copyrighted with no reproduction rights available. Longchamp opens an amazing flagship store in Champs-Elysées Paris. The new Drugstore band is back. Le MOC, a new story by JM Weston. 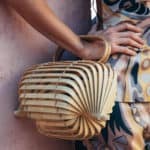 Top 10 Handbags For This Summer, The Instagrammers choice! Opumo – Only for men.